Midweek rates beginning now until June 21st, 2018. Terry Brae rates (see below) can be paid at hotel or golf course since we do direct billing with him. Terry Brae includes cart and lunch. 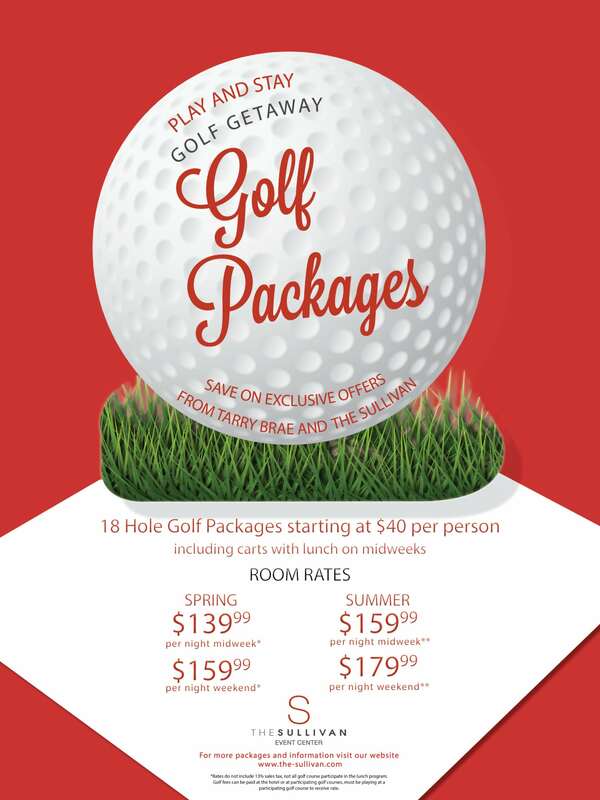 These rates and packages also apply to the Lochmor Golf Course. for same day replay. Weekends are $50 18/cart and lunch $20 for same day replay. Weekend is $55 for 18 holes and $35 if they play after 2pm.